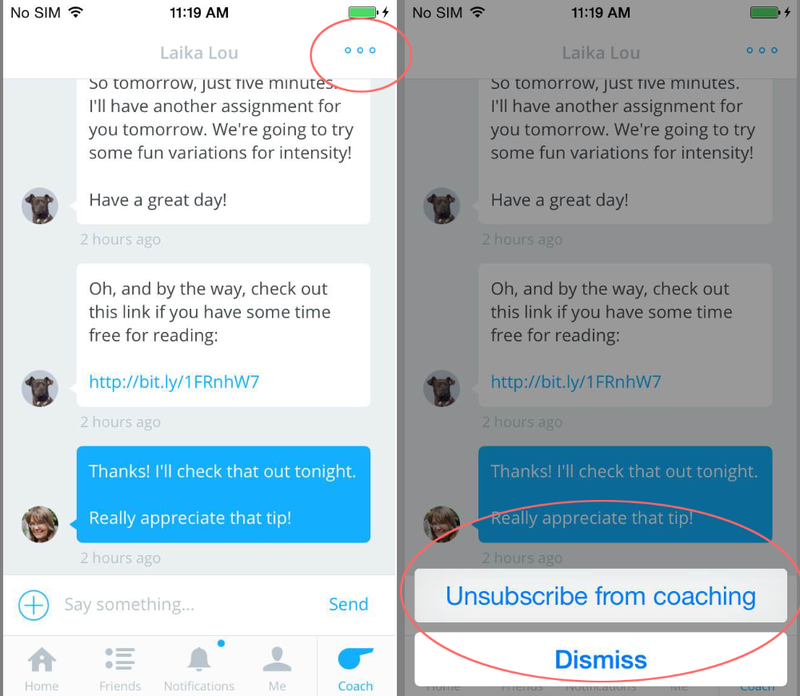 Note: These directions are for canceling private chat coaching with a coach. if you want to cancel Heavy Mental, our group coaching experience with Tony, see this article instead. 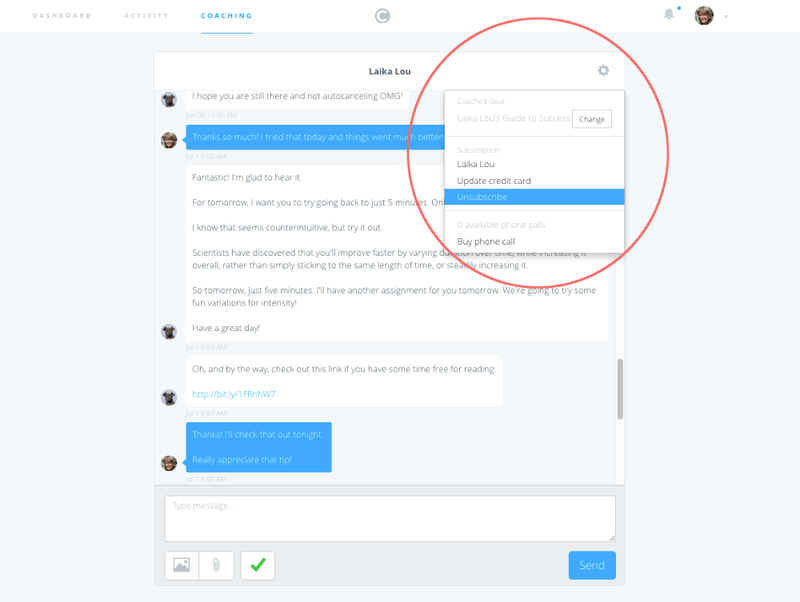 At the upper right, you'll see a gear icon (on the web or android) or three dots (on iOS). Click/tap there and you'll find an option to unsubscribe. Important: when you cancel coaching, your chat history with the coach will disappear immediately. If you wish to keep it, make a copy of it before you cancel! Also be sure to tell your coach goodbye if you like.